There are currently 87,761 users on this website. Hi. 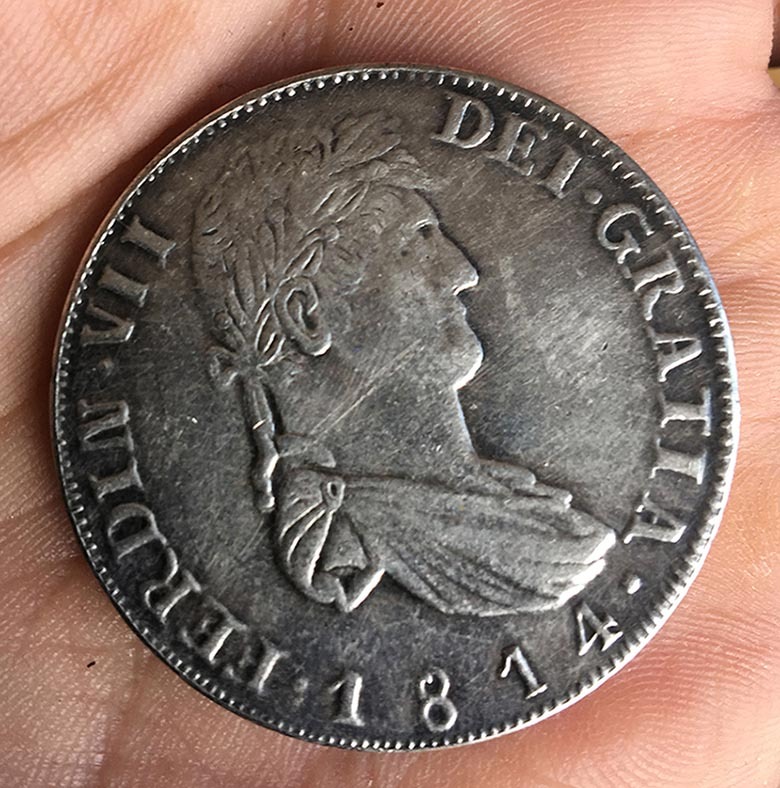 This coin was passed on to me by my brother in law (now deceased). 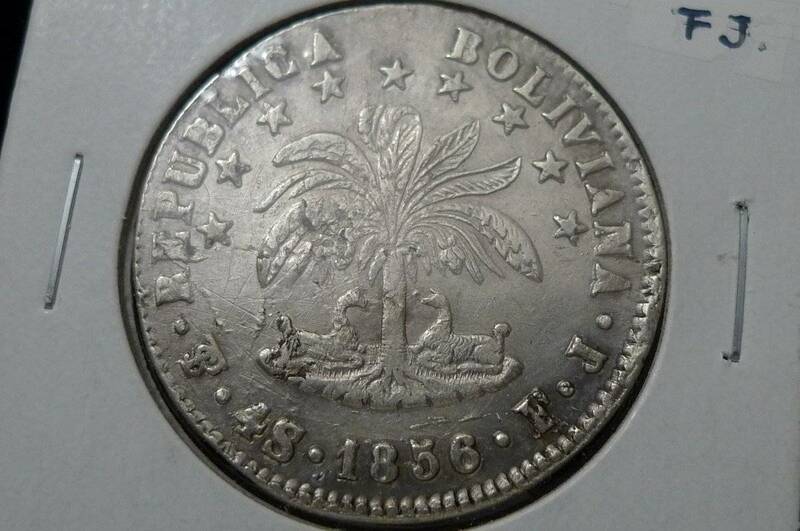 About 15 years ago I did some online research and it was listed as rather rare because of the SF mint mark. Since then life is such I forgot about it. Now my curiosity has sparked again, but I can't find any info whatsoever. 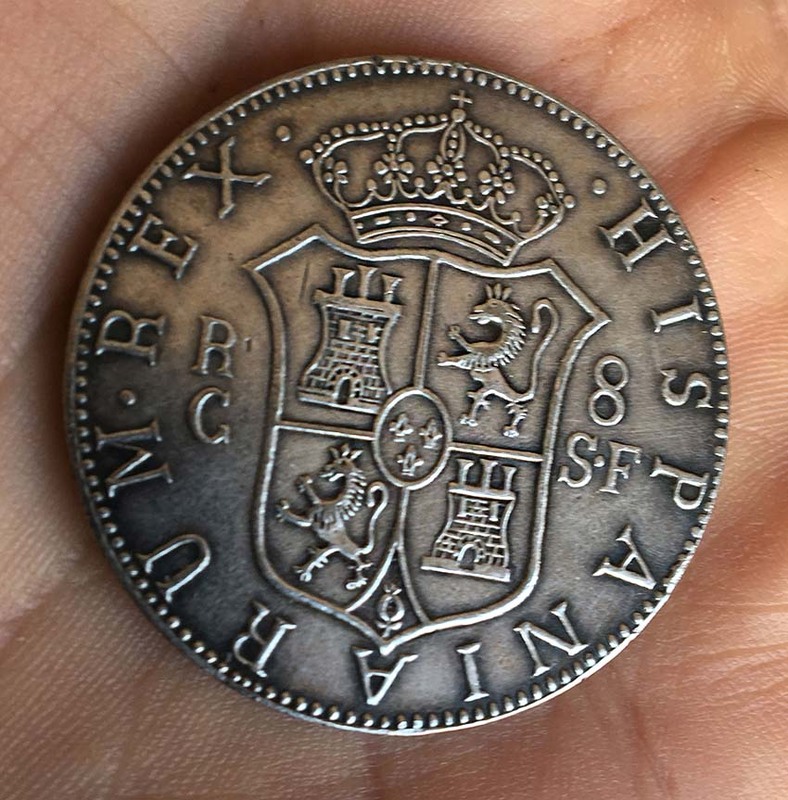 Does anyone know about this coin? Is it real/fake? What does SF stand for... it's been a while. :-) thanks! 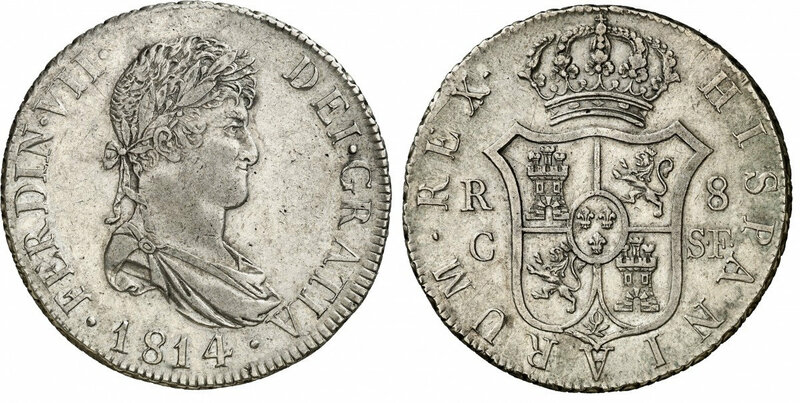 It's a rather obvious imitation of a Catalunya (Mallorca) 8 Reales. 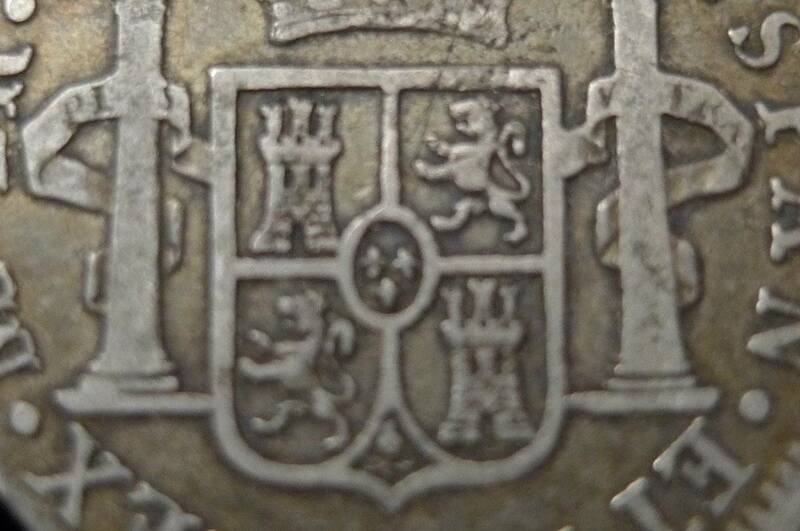 I like those llamas with their fists raised on the coat of arms on the OP's coin. Which looks like a lion, and which looks (more than a little) like a llama? Personally I think the forgers (Chinese) were trying to make the Lions look too much like Dragons. 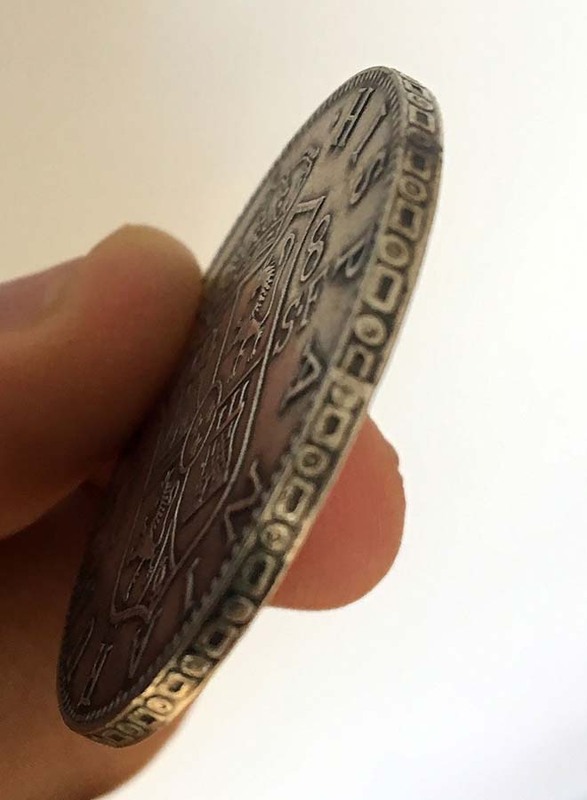 One major error they made in this case is that they used a colonial edge instead of one of the mainland diagonal designs.